Moroccan Lamb Recipes a selection of videos from several different chefs. These are real tasty Mediterranean Moroccan recipes for you to try. 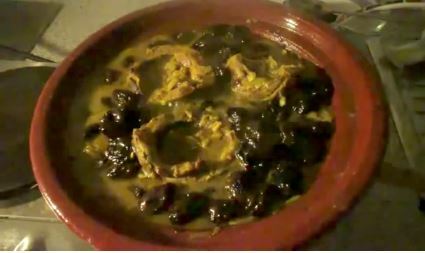 Tagine of Lamb with Prunes – Moroccan Food Recipe. This gorgeous lamb tagine recipe produced melt-in-your-mouth results every time. Jamie takes some classic Moroccan flavours and techniques the shows you every step of the way plus how to finish it off beautifully. And the best thing about tagine cooking is there is minimal washing up – brilliant. Tasting Party Recipes: How to Make Moroccan Spiced Lamb Stew, with Joey Altman | Pottery Barn. n the “Tasting Party Recipes” video series, watch Chef Joey Altman show you how to make delicious recipes with flavors from around the world. Then, add olive oil in a pan and sauté onions in it. Add the marinated meat. Let the lamb cook on one side for some time. Moroccan Lamb Burgers with Sortedfood. Jamie presents….. Sortedfood. The boys came to our studio to cook up some great food for Jamie. Moroccan Spiced Lamb Curry | Sanjeev Kapoor Khazana. 1. Heat olive oil in a non-stick pan. Add lamb and sauté till golden. Remove from heat and transfer onto a plate. 2. Add onion to the same pan and sauté till golden. Add garlic, bay leaf, cinnamon, fennel seeds, cumin seeds, coriander powder and garammasala powder and mix well. 3. Add tomato puree, mix well and cook on low heat for a minute. Plus now add sweet potato, raisins and sautéed lambs, mix well. Add salt, mix and cook for 3-4 minutes. 4. Add sweet paprika and mix well. Add lamb stock, mix and simmer for 2 hours. 5. Serve hot garnished with acoriander sprig. Moroccan Gourmet Spice Set , the Essential Spice Mixes for Authentic Moroccan Cooking. The Essential Spice Mixes for Authentic Moroccan Cooking, using authentic family recipes inherited over many generations. All the Moroccan spice mixes have been carefully blended from the finest quality freshly ground spices, giving dishes a distinctive luxurious Moroccan aroma. Includes 6 jars of spice mixes: Ras el Hanout, 42 g, winner of Great Taste Awards 2015, Harissa, 42 g, winner of Great Taste Awards 2015, Moroccan Meatballs, 42 g, winner of Great Taste Awards 2014, Lamb Tagine, 50 g, Chicken Tagine, 50 g, Chermoula Fish and Seafood, 42 g.
First of all PLEASE do add if you can any Special handy recipes for others to share that you come across. The site Spain info covers local towns with local accommodation. In addition Spain info also covers info local days out in Spain on the Mediterranean. also the site Spain info with information on gardening in Spain Mediterranean style. This site Spain info with information on cooking Mediterranean style. Therefore you will find Spain info also covers Bowls Clubs Golf Go Karting fishing Caves and other sports here in the Mediterranean. You will also find Spain info also lists the Local Hot Water Spas many of them dating back to Roman times.